Start, use, and customize a TypePad blog today! TypePad is known for its intuitive user interface, built-in SEO features, optional advertising, free professionally designed templates, fully hosted blogs, and outstanding customer support. This book guides you through the technical tasks necessary for starting, using, and customizing a TypePad blog. 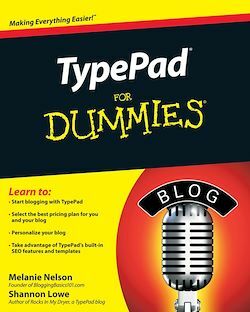 Step-by-step tutorials walk you through the process of signing up for a new TypePad blog, while screen shots from real-world blogs bring the book's concepts to life. Get blogging today with TypePad!